In the BEARSVILLE THEATER — Exhibiting Luthiers in main theater; quiet rooms available for one-on-one encounters with instruments. Continuous live acoustic music, Special Appearances, Luthier Mini-Concerts on Performance Stage in separate Bar/Lounge area. Please see our events page for Performers and Performance Schedule. 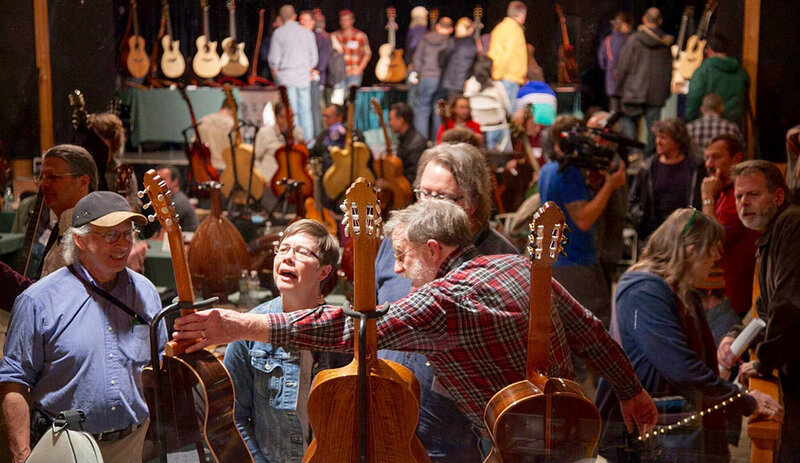 In the UTOPIA SOUNDSTAGE — More Luthiers, Vendors, and our Sponsors; including wood dealers, parts and tool suppliers, inlay artists, lutherie schools, string and accessories manufacturers, magazines and publications. PLUS SPECIAL EXHIBITS of Rare and Significant, Historic, Vintage and Contemporary Stringed Instruments. In the PETERSON HOUSE / Commune Saloon — Instructional Clinics & Workshops. 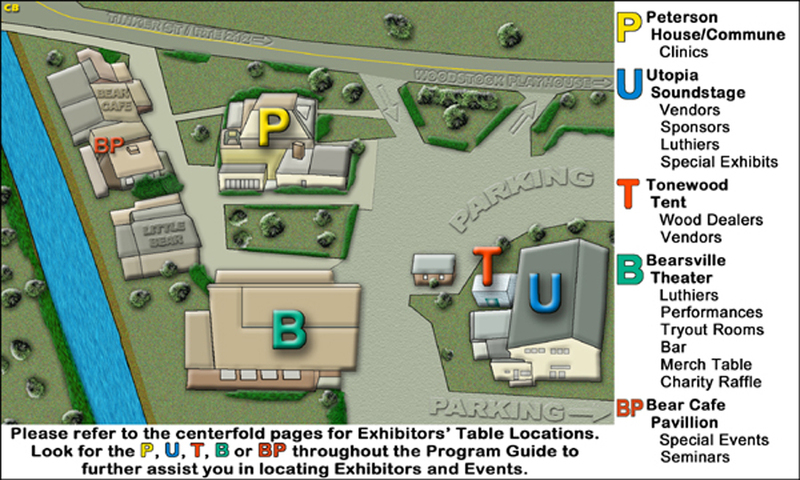 Friday, Saturday and Sunday by separate admission. Advance reservations recommended. Please see our events page for details and schedule.